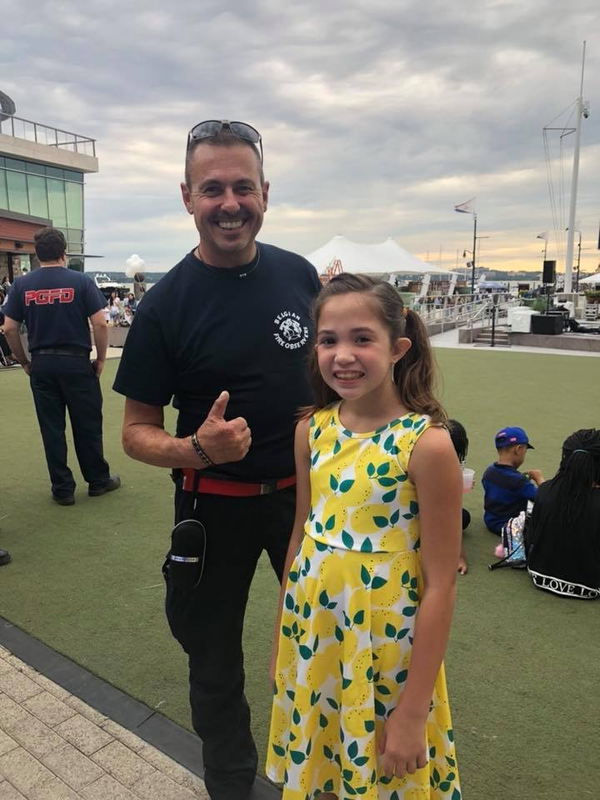 Belgium Firefighter Johnny Beernaert and Angelina O'Steen at her lemonade stand at National Harbor on Saturday. Angelina is battling Cystic fibrosis and raising funds for Children's National Medical Center. 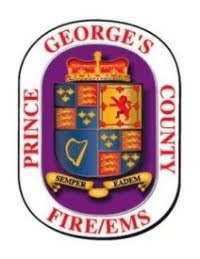 The Prince George's County Fire/Emergency Medical Services Department is hosting 10 emergency services personnel from Belgium. The Belgium Fire Observers arrived on September 17th and will spend 10 days with Firefighter/Medics around the County riding calls, living, eating and participating in the day to day activities. This past Saturday many of the Belgium Fire Observers participated in exercises with the Department's Marine Unit at the National Harbor. While there, crews encountered a young lady, Angelina O'Steen, selling lemonade and were intrigued by the 9-years's old story. Angelina is 9 battling Cystic Fibrosis. She has been a patient numerous times over her short life at Children's National Medical Center (CNMC) from complications from the disease. She has been operating a lemonade stand at various locations in the Southern Maryland region raising money to donate the proceeds to the CNMC Pulmonary Clinic. The plan is to present a check to CNMC pulmonary clinic the Tuesday after Thanksgiving this year. 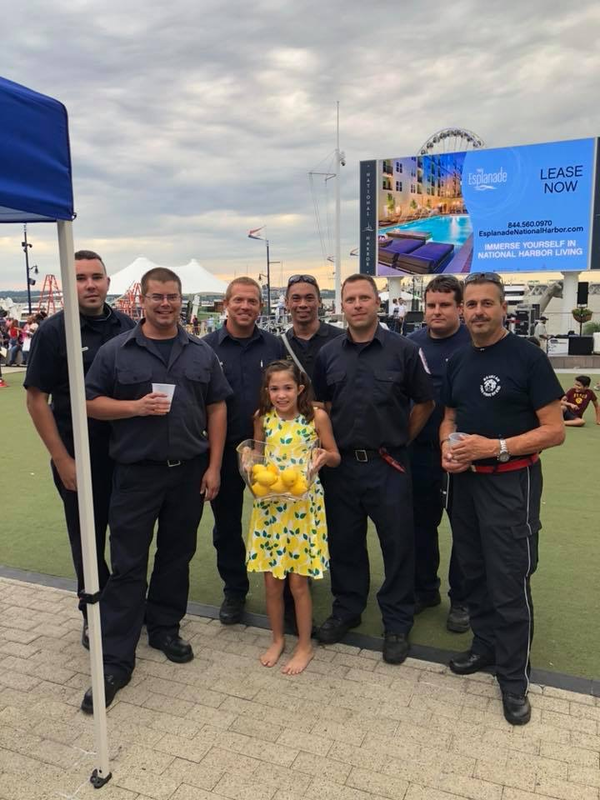 Angelina was extremely excited when she learned that a firefighter from Belgium came all the way to National Harbor just to try some of her now World Famous lemonade. Angelina with PGFD crew and Belgium Firefighter Johnny Beernaert on Saturday at National Harbor.